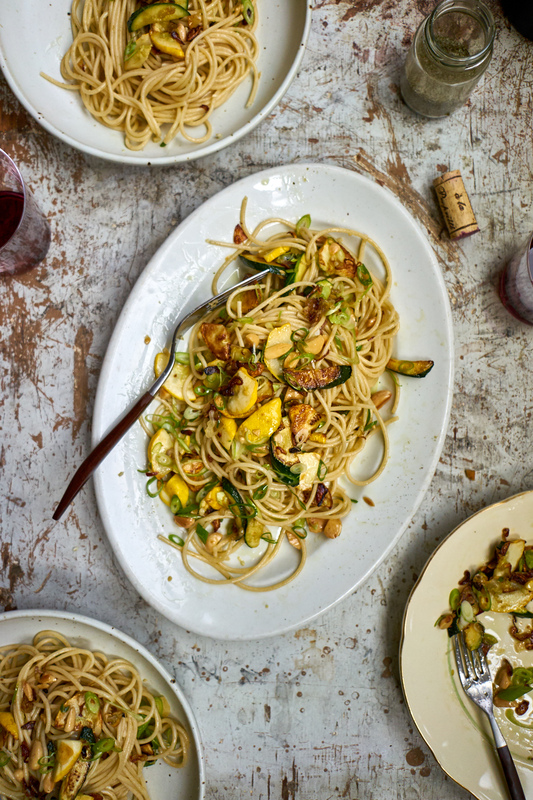 I saw a table at the market the other night groaning under the weight of a mountain of summer squash. Squash that looked like it wanted to avalanche its way into my basket. I took pity, grabbed a bunch, and made my way home. 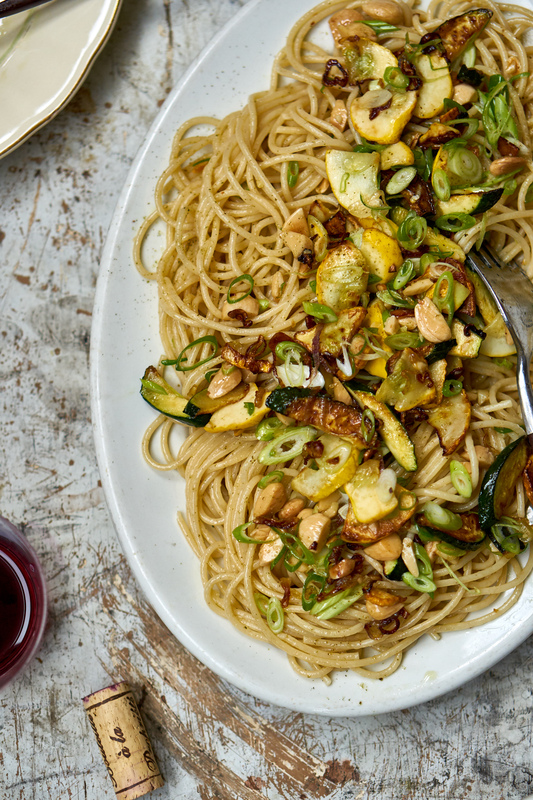 I ended up using a couple in a favorite nothing-to-it sautéed zucchini recipe. It's pictured here served over a simple plate of spaghetti. I often cook up a pan of the zucchini like this, and then use it to top off a frittata. Or toss it with a platter of pasta. Over farro with some harissa-spiked vinagirette? Not bad. Baked as a hand-pie in a simple pastry with a smudge of goat cheese? Even better. Anyhow, it's really adaptable. And for those of you who don't use much dill in your cooking...let me just say, dill is under-rated and under-utilized. The more I cook with it, the more I love it - fingers crossed you like this spin as much as I do. 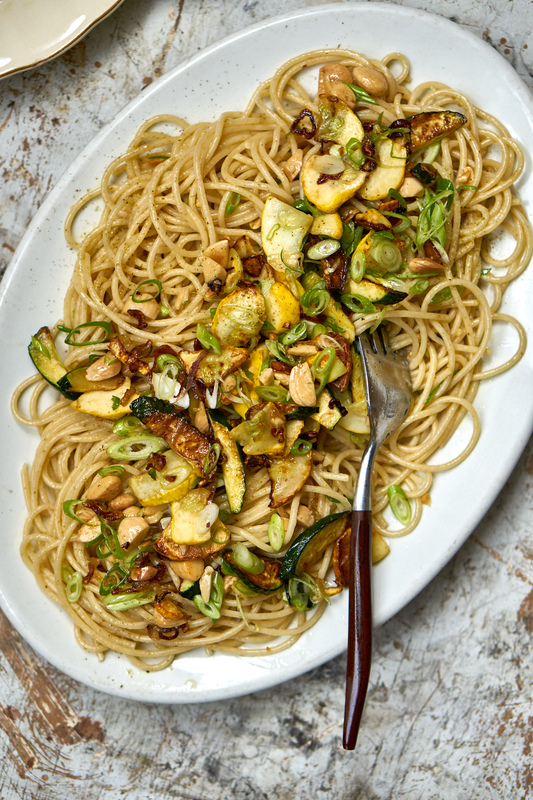 You can sauté just about any kind of zucchini! 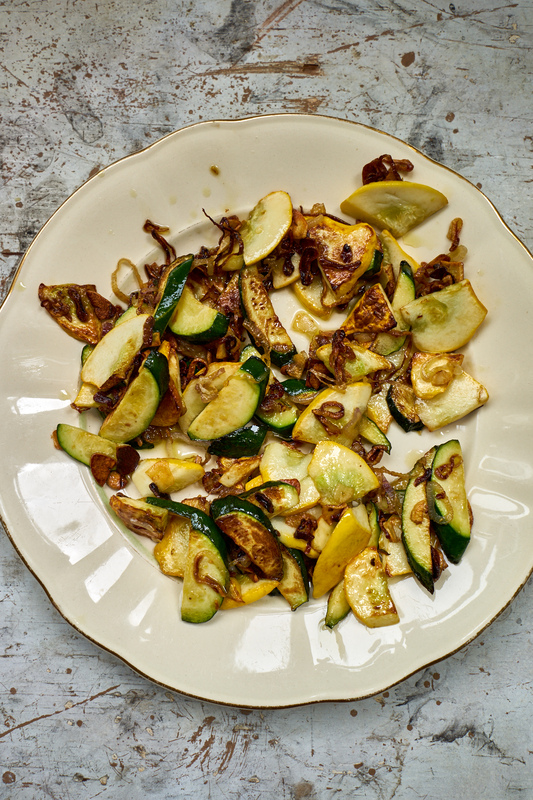 Or a blend of zucchini / summer squash, as pictured here. A pro tip - attempt to slice it all the same 1/4-inch thickness. As far as shape goes - you can slice full coins, or half coins. You can slice zucchini straight across, or angle it, and slice on a bias. Feel free to experiment! I hate to say this, but if you want to do a larger amount, double the recipe, but divide and cook the zucchini in two pans. If you crowd the squash too much, it steams rather than browns, and loses too much structure, which isn't what you're after. In your largest skillet heat the oil over medium-high heat. Stir in the garlic and cook until it starts to take on a hint of color. Stir in the shallots and a big pinch of salt, and cook until they start to soften, a couple minutes. Add the zucchini, stir to get it coated with a bit of oil, and arrange the coins in as much of a single layer as your pan permits. Dial the heat up a bit if needed, add another pinch of salt and cook, stirring occasionally until the zucchini browns - ten minutes or so. Remove from heat and fold in the dill and almonds before serving. Taste, and adjust the seasoning if necessary.